Luxurious Lakeside Living! 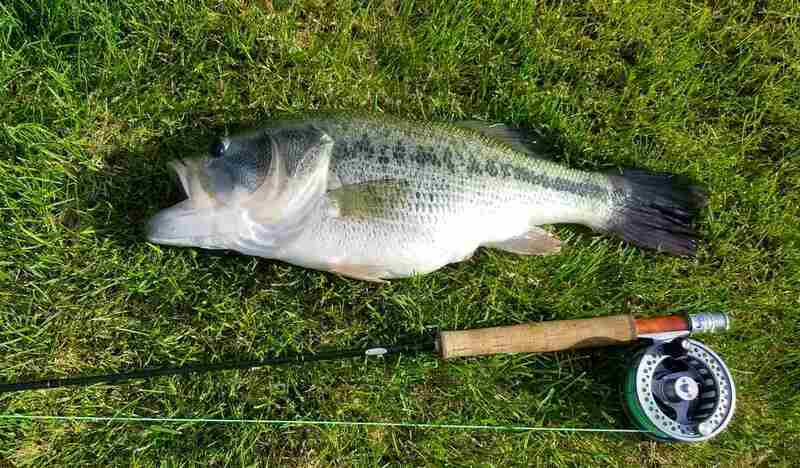 Paddle board the morning to start your day or play catch and release with the large mouth bass in the evening to relax - you have your own beach front. 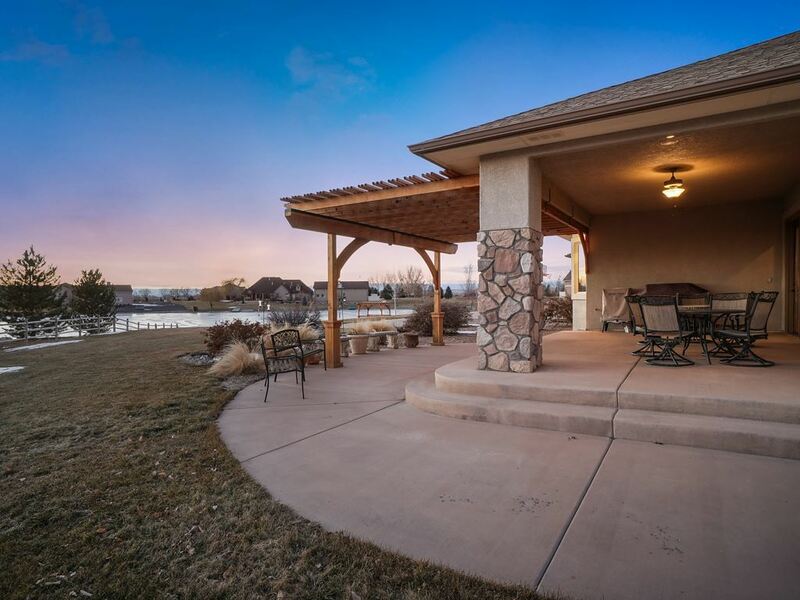 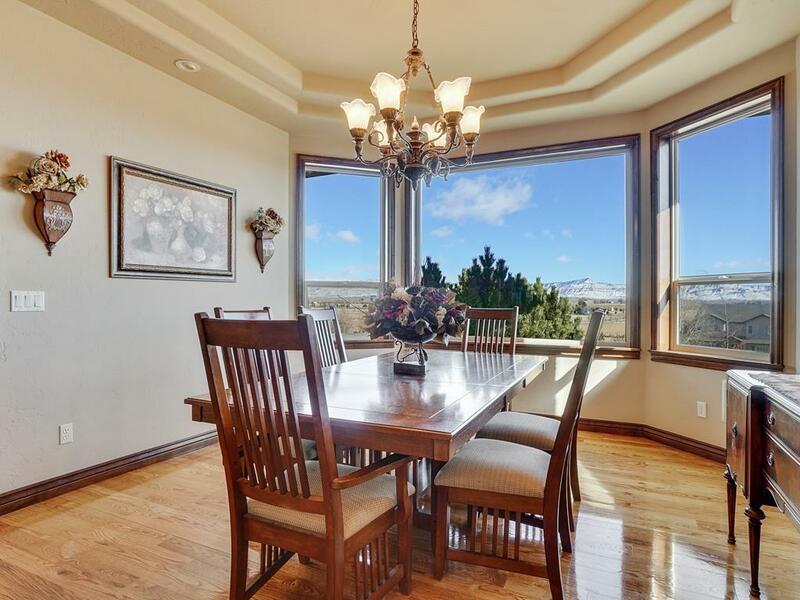 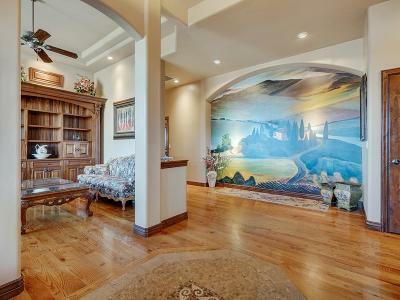 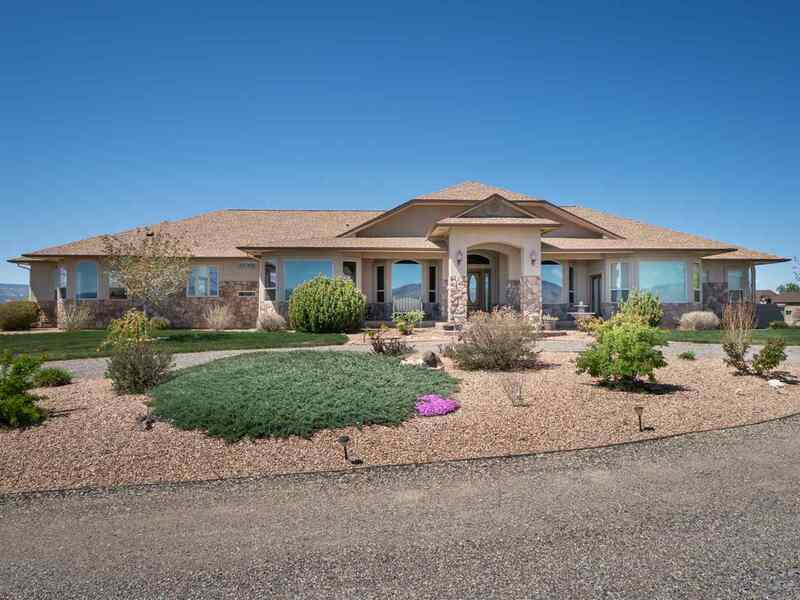 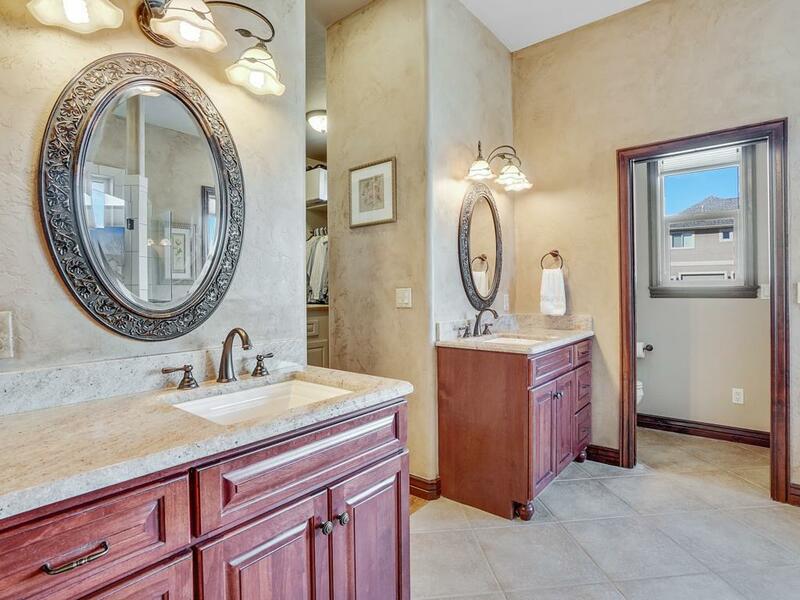 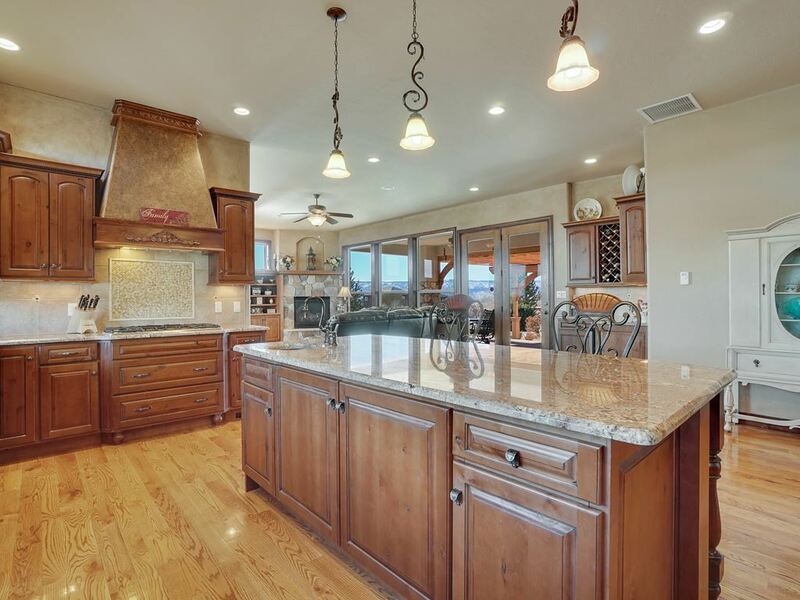 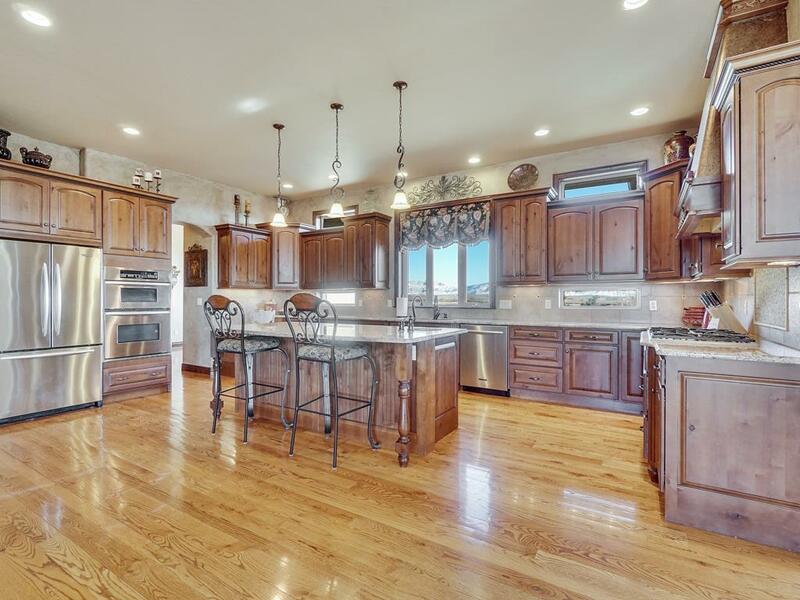 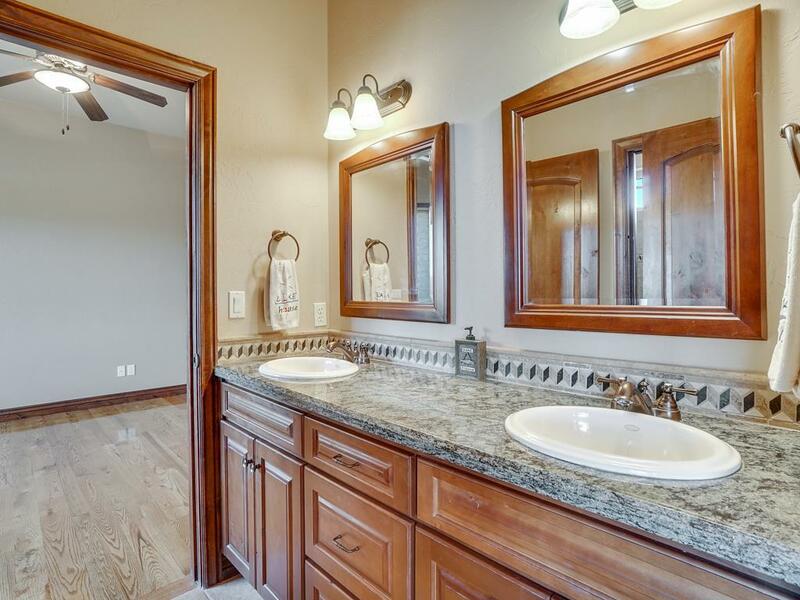 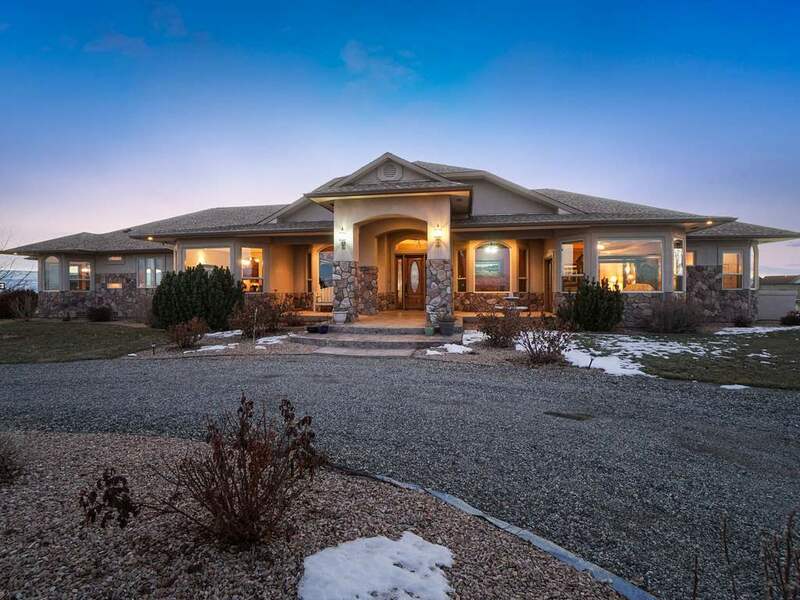 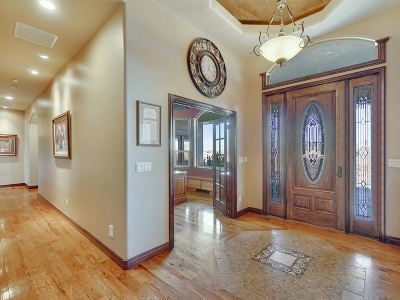 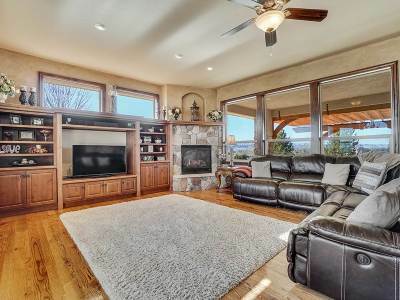 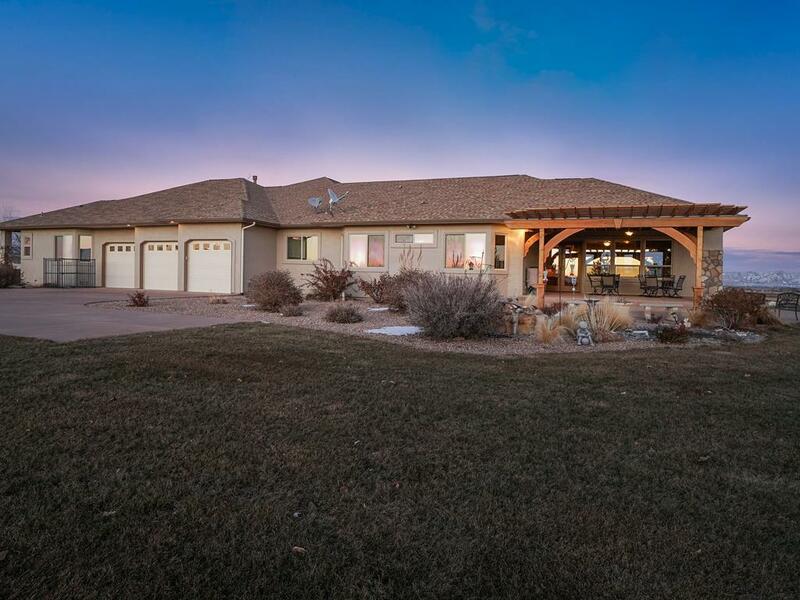 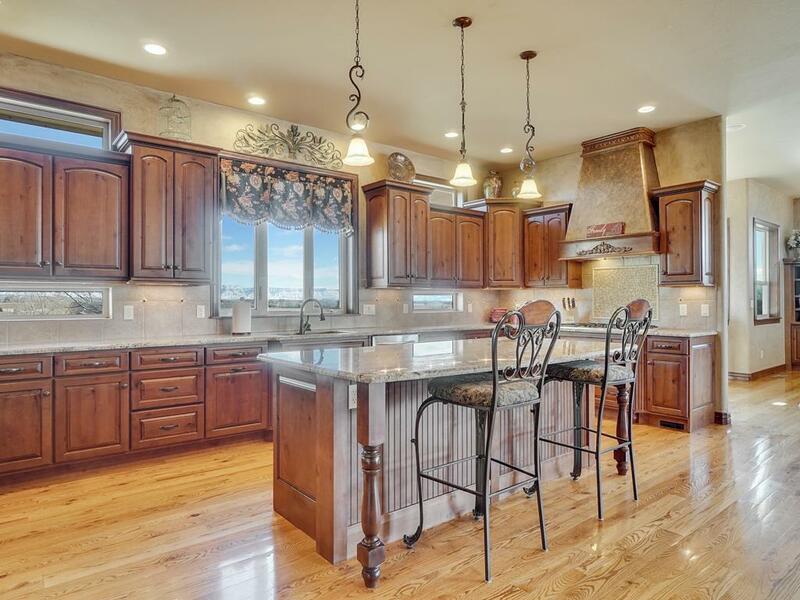 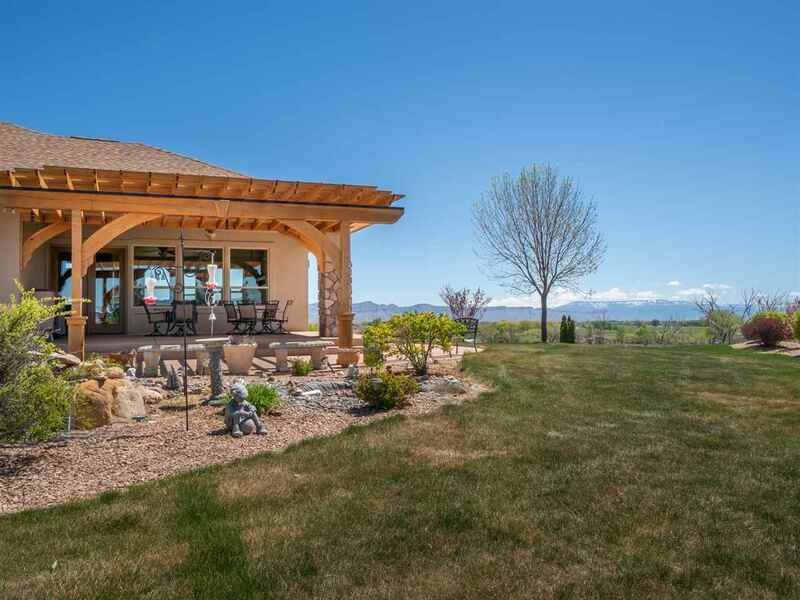 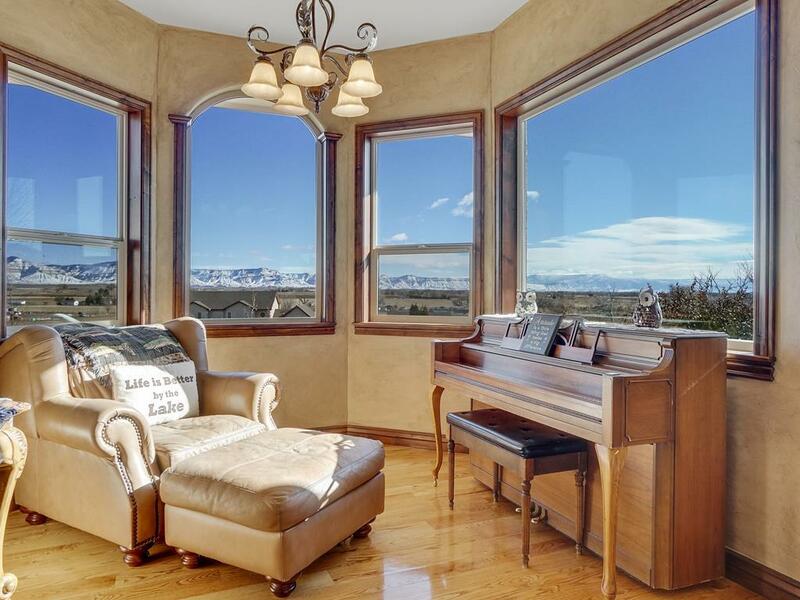 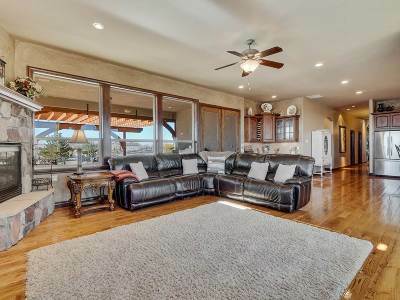 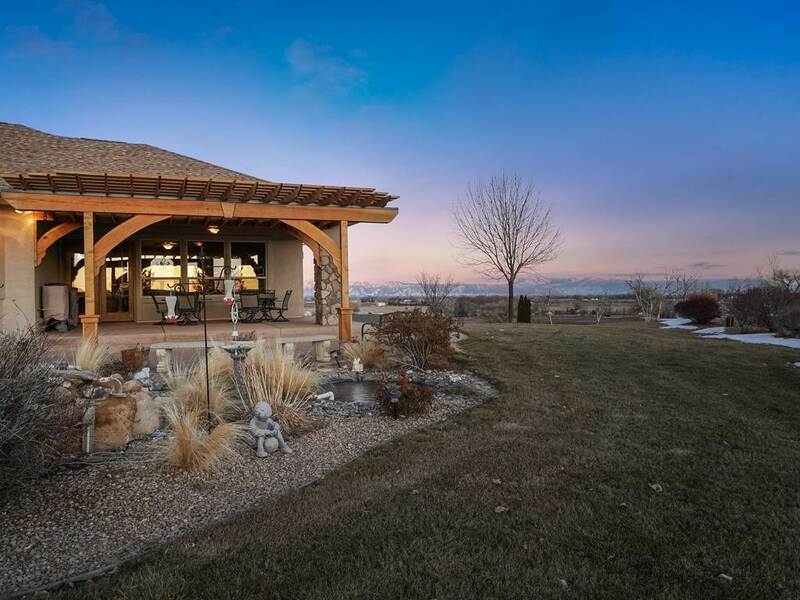 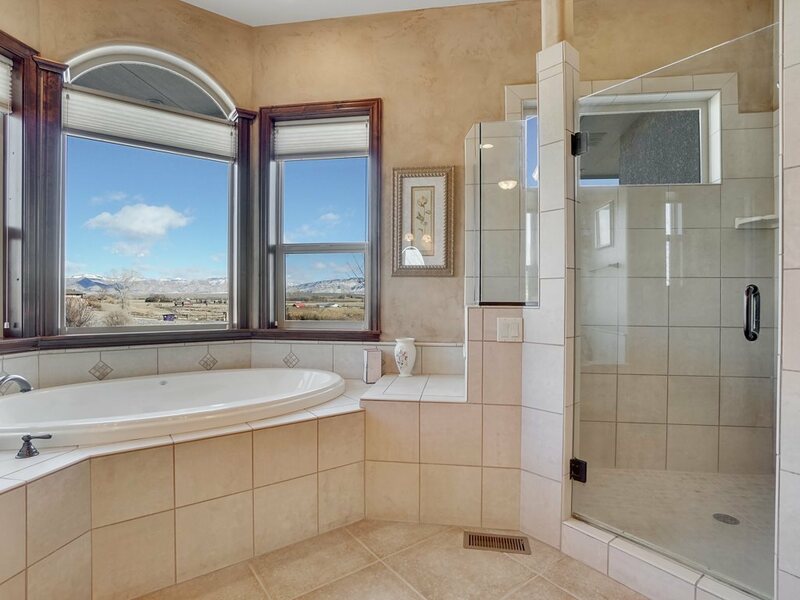 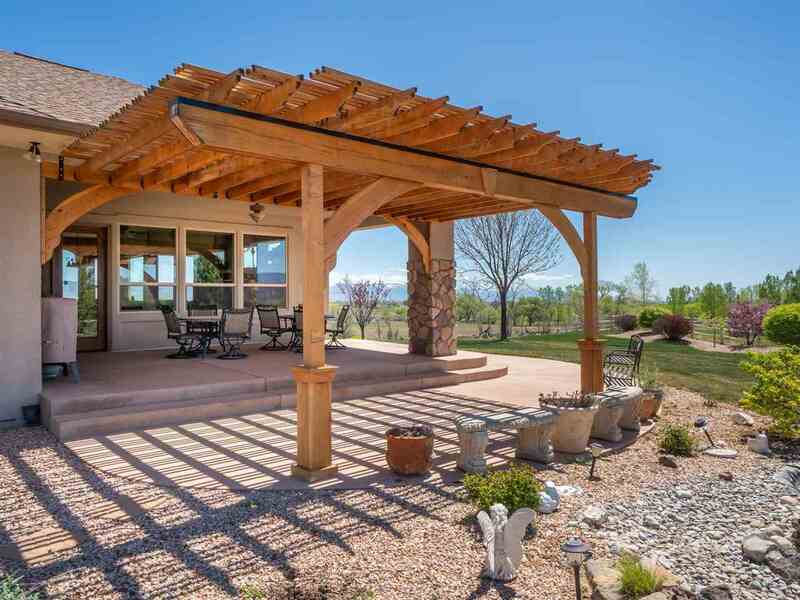 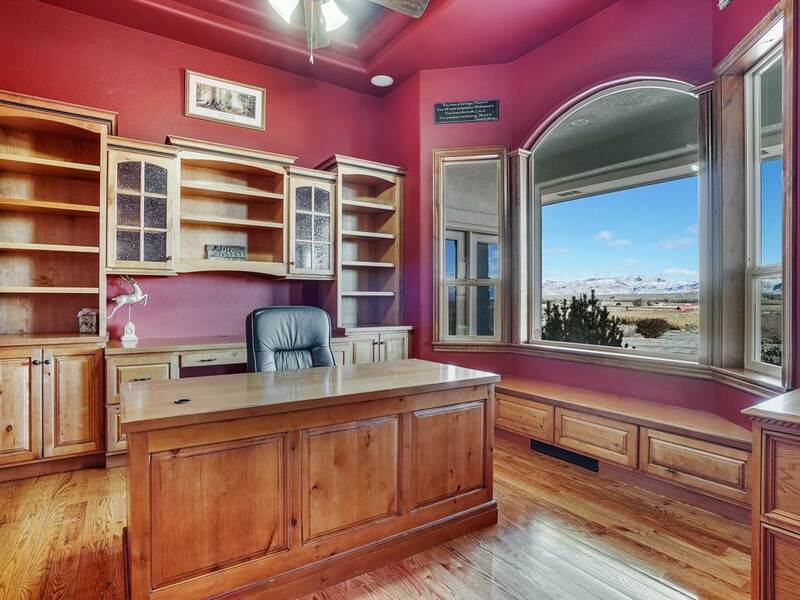 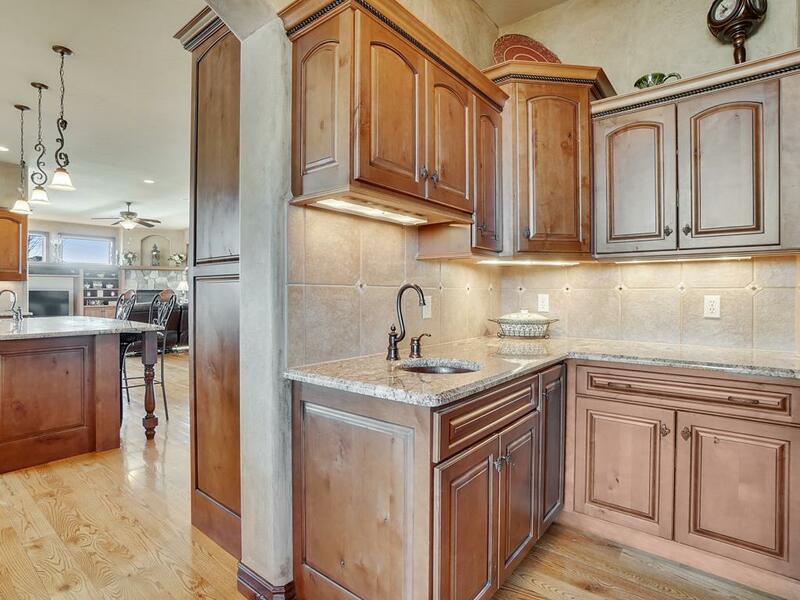 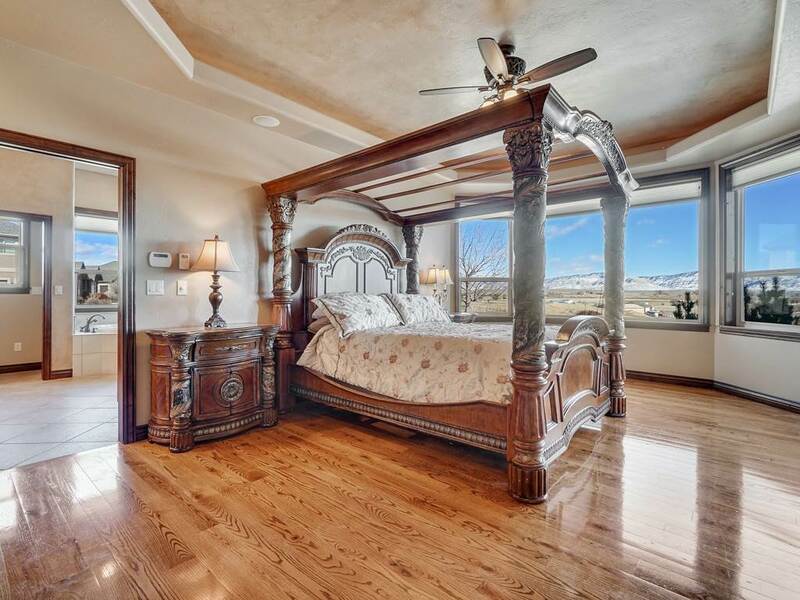 No detail was overlooked in the design and placement of this stunning Tuscan inspired ranch style home on the hill of Horseshoe Ridge in Fruita. 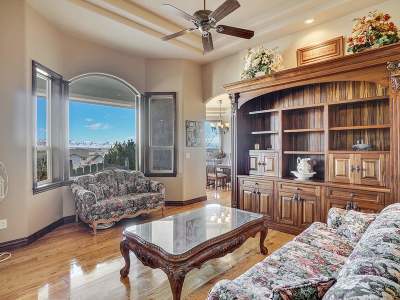 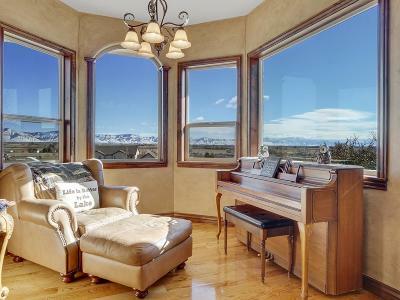 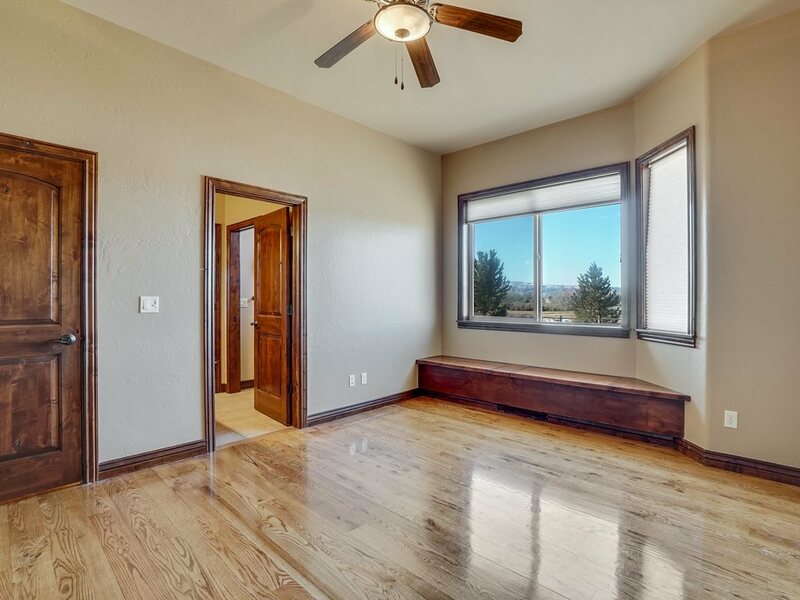 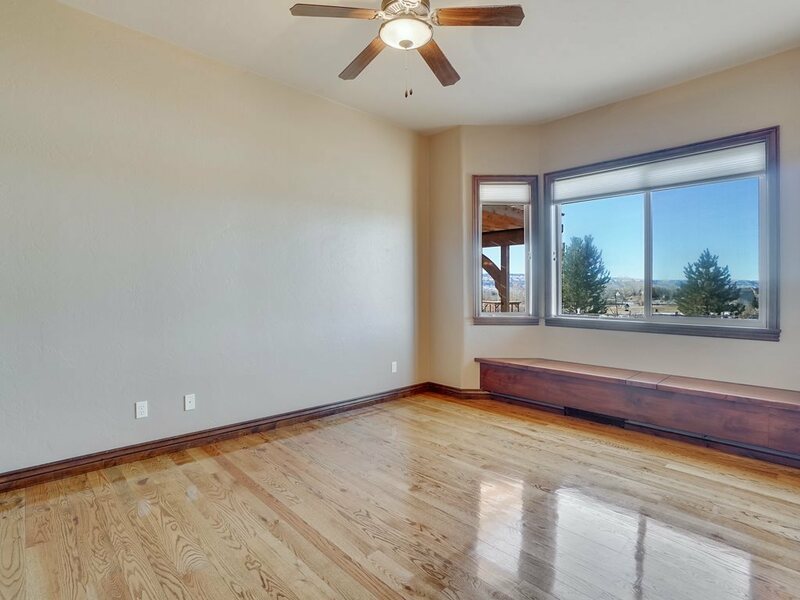 Gorgeous views from every window call you outside however you might want to stay in as this home has beautiful Red Oak flooring,high ceilings, a dreamy chef kitchen with butler&apos;s pantry, ample entertaining space in the large family room, formal living room and formal dining room. 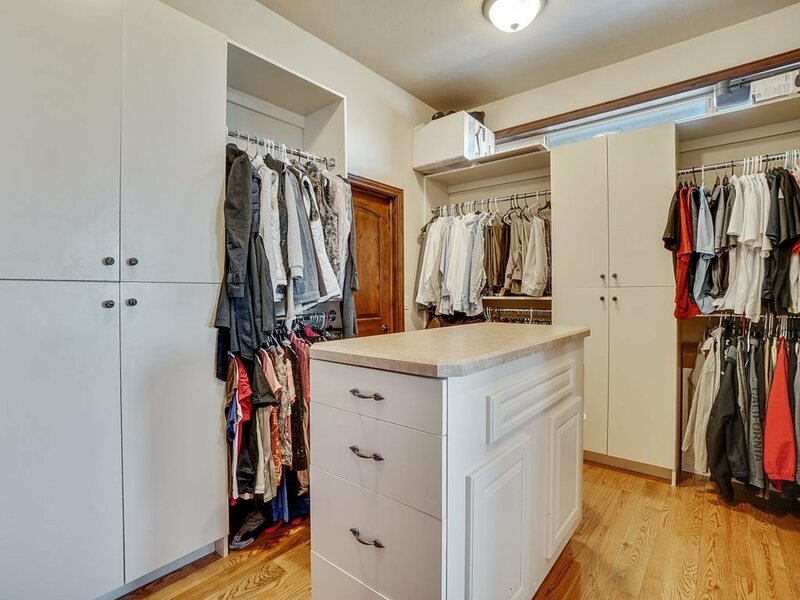 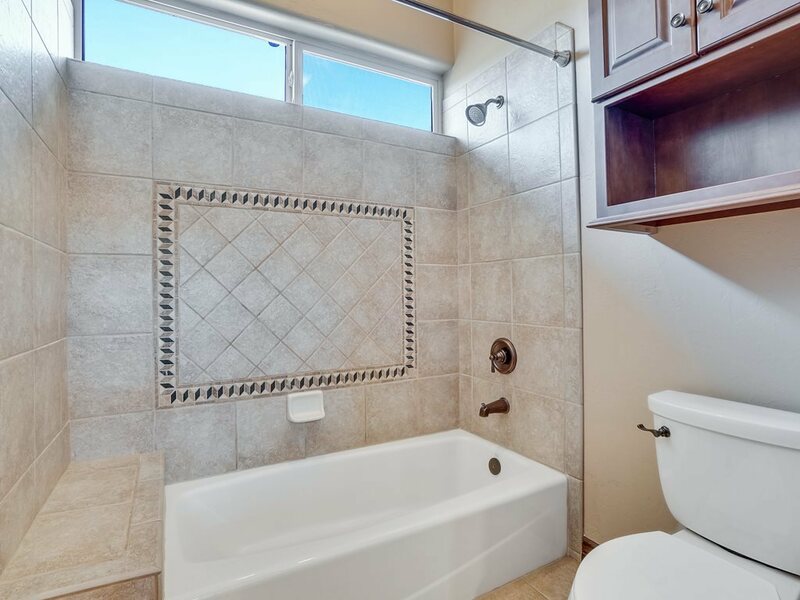 Five bedrooms all having access to full bathrooms including a grand master suite. 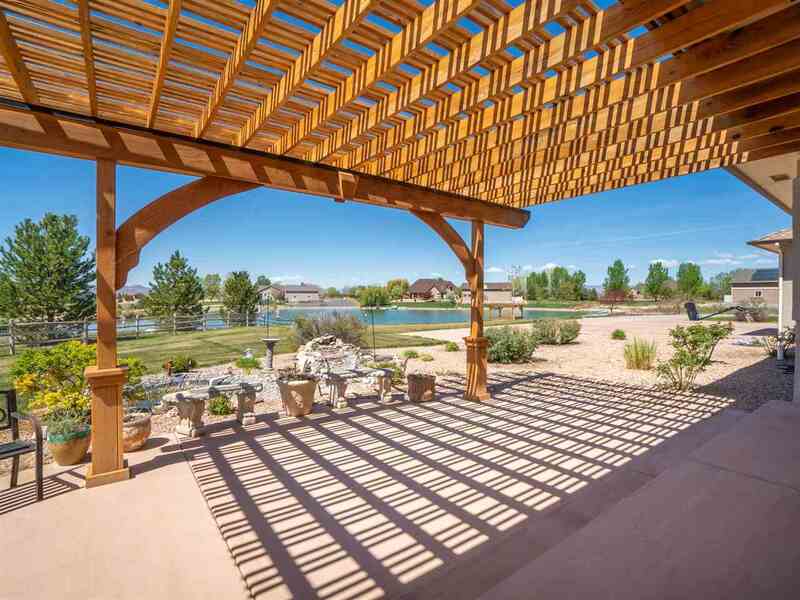 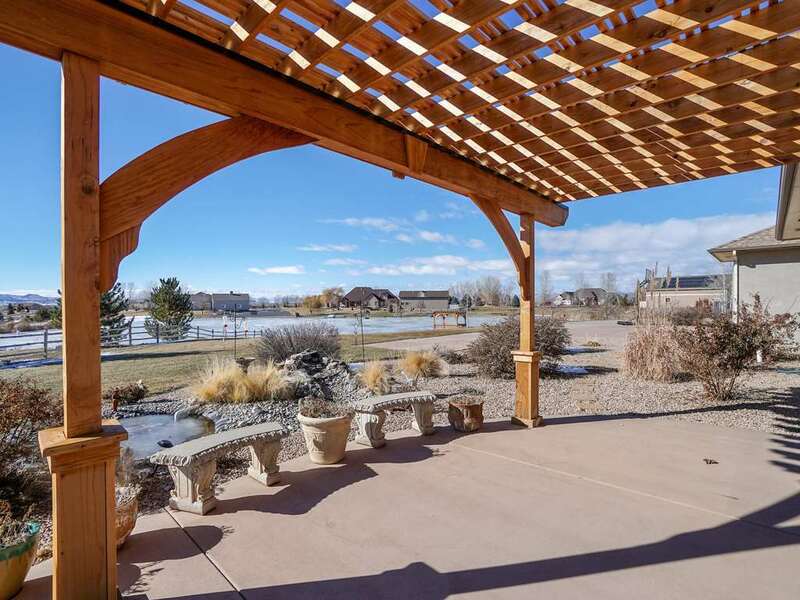 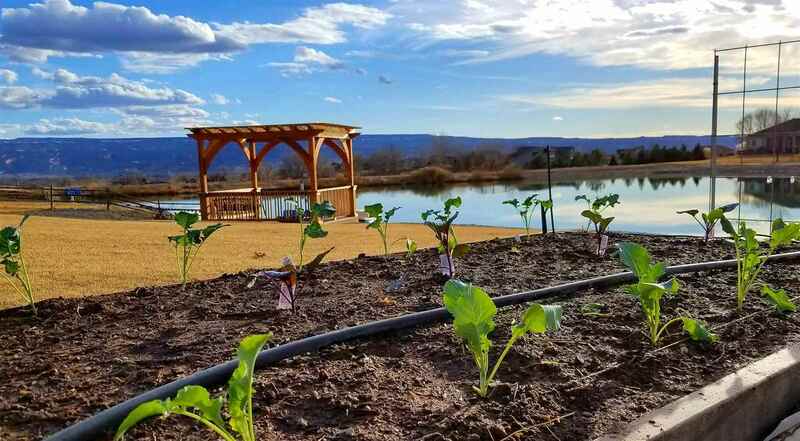 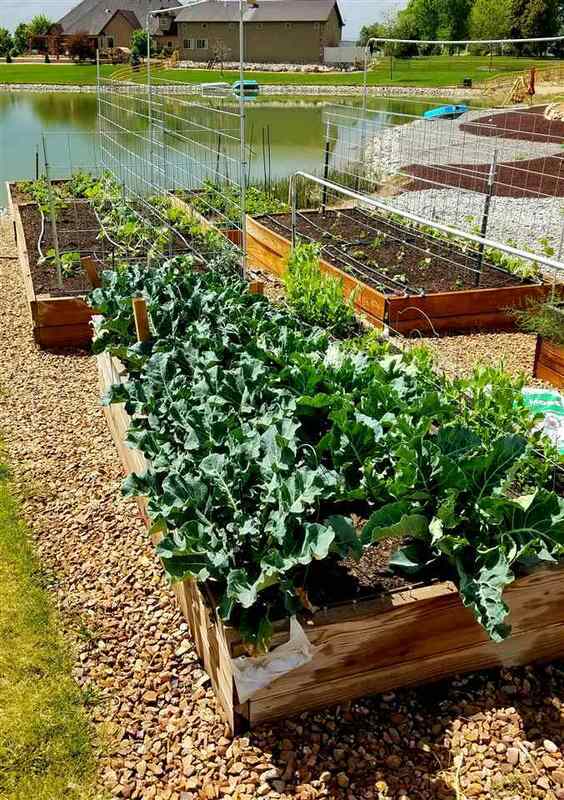 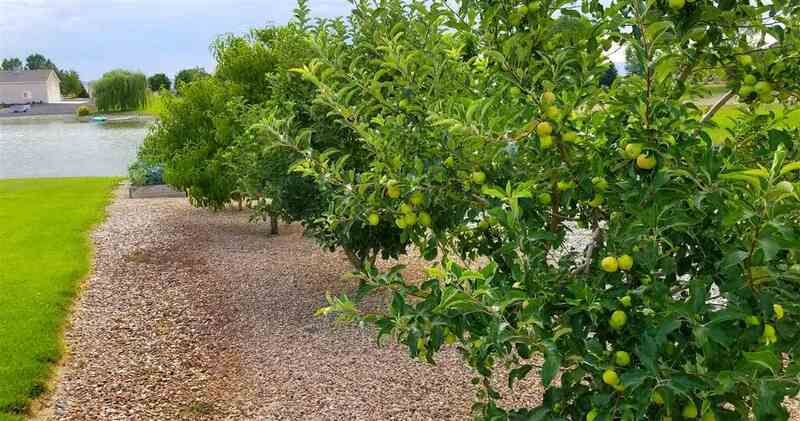 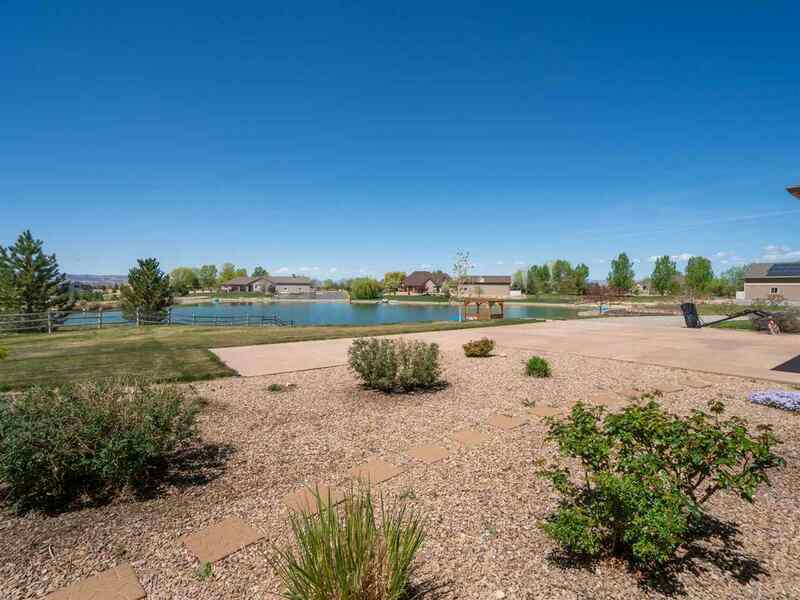 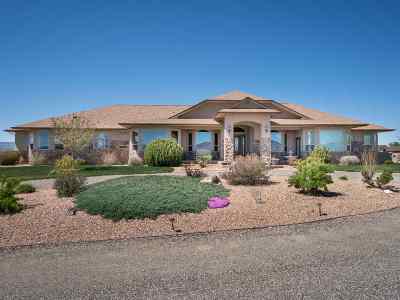 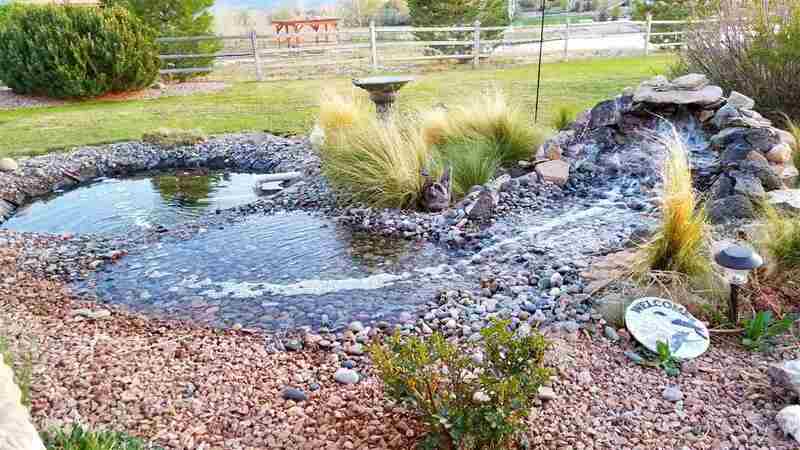 Resting on 1.77 acres of completely manicured grounds with raised garden beds, a variety of fruit trees, large covered patio with pergola, water feature and views for days. 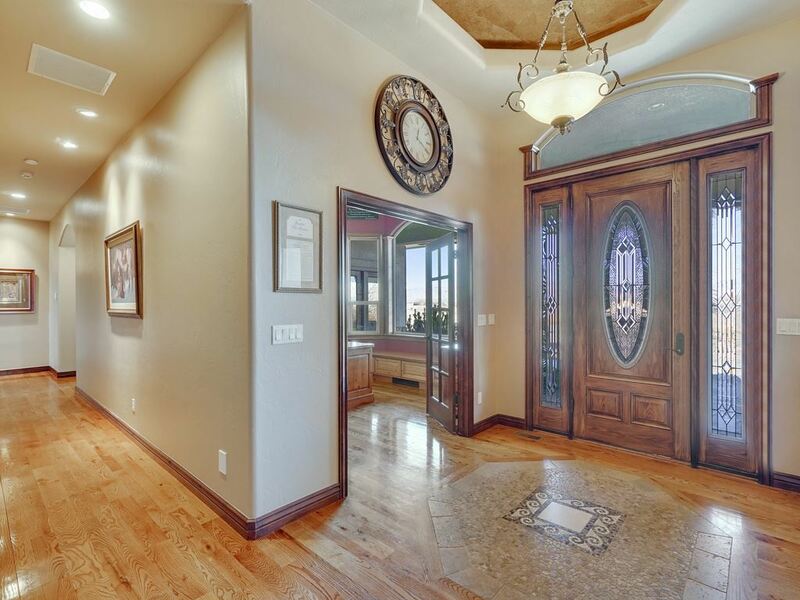 Inside and out this home is exceptional.